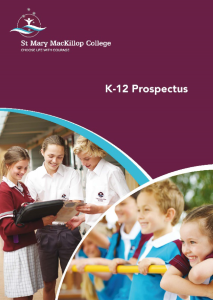 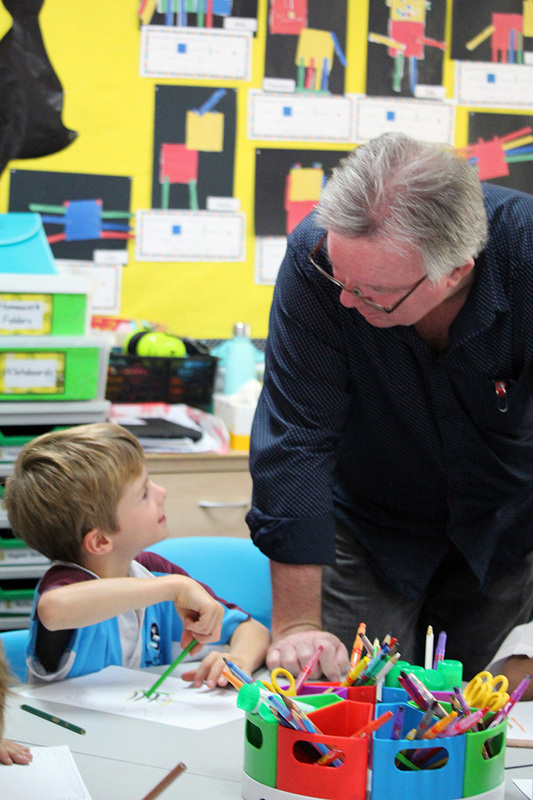 The fourth annual Between the Lines Literacy Festival was hosted once again by St Mary MacKillop College on 28-29 March. 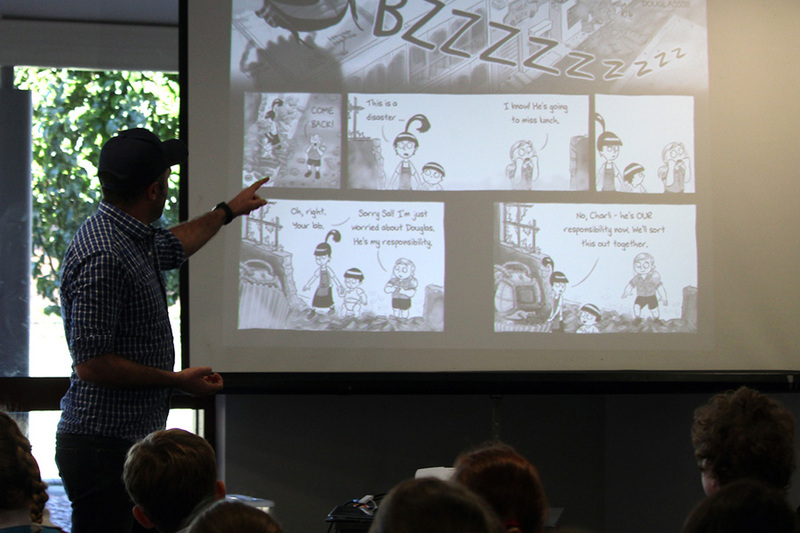 Organised in collaboration with Dymocks Busselton, the event brought plenty of authors and illustrators to Busselton for workshops and Q&A sessions, attracting participation from a number of surrounding schools. 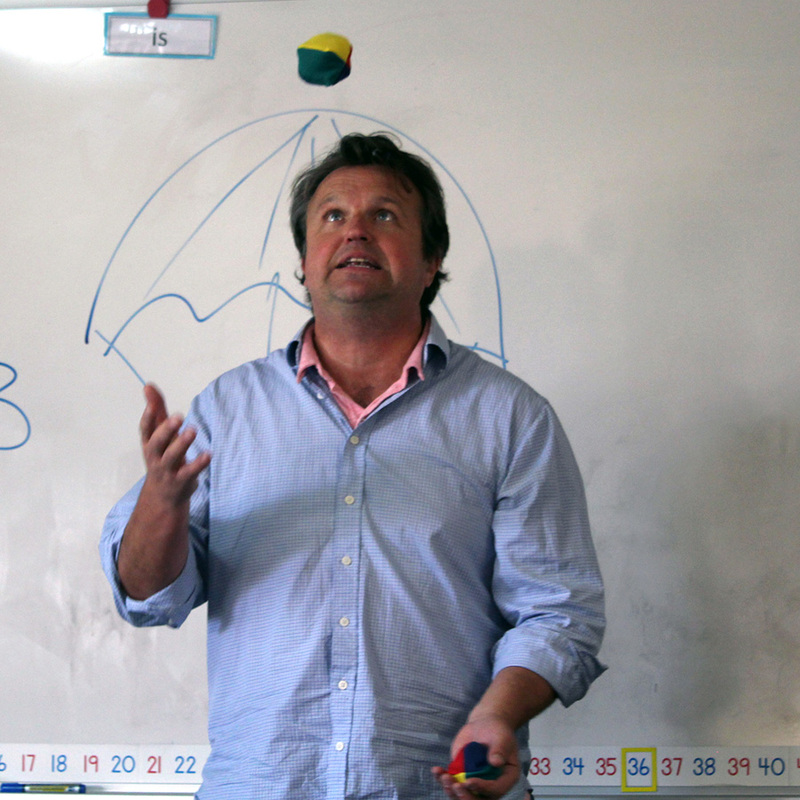 Secondary students spent time with ‘Zac and Mia’ author AJ Betts, YA novelist Meg McKinlay and dystopian writer Mark Smith, among others. 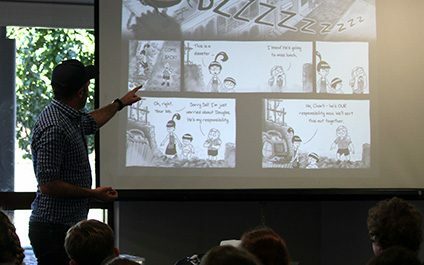 Author, illustrator and composer Matt Otteley spoke about the themes of his work, and how he made use of words, images and even music to convey these themes in picture books aimed at young adults. 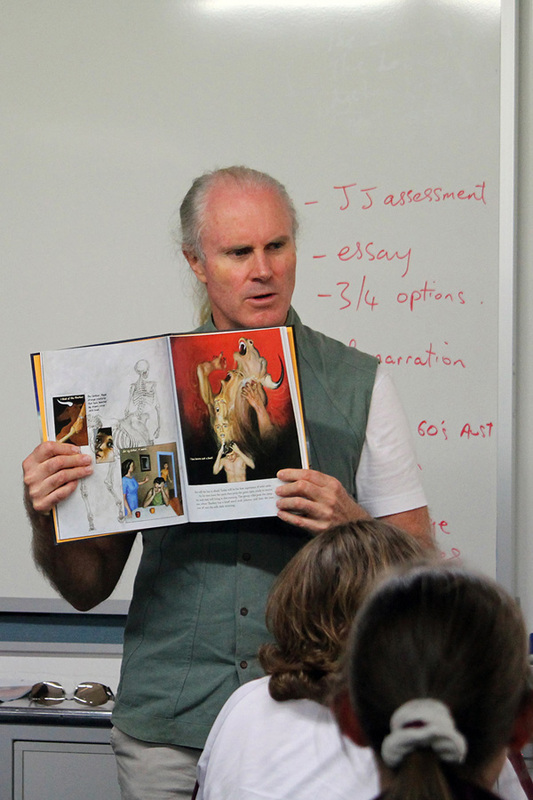 Illustrator Andrew Foley spoke to students about his graphic novels, Brobot and My Dead Bunny, while Norm Jorgensen worked with Year 1 students on the cover of his new book. 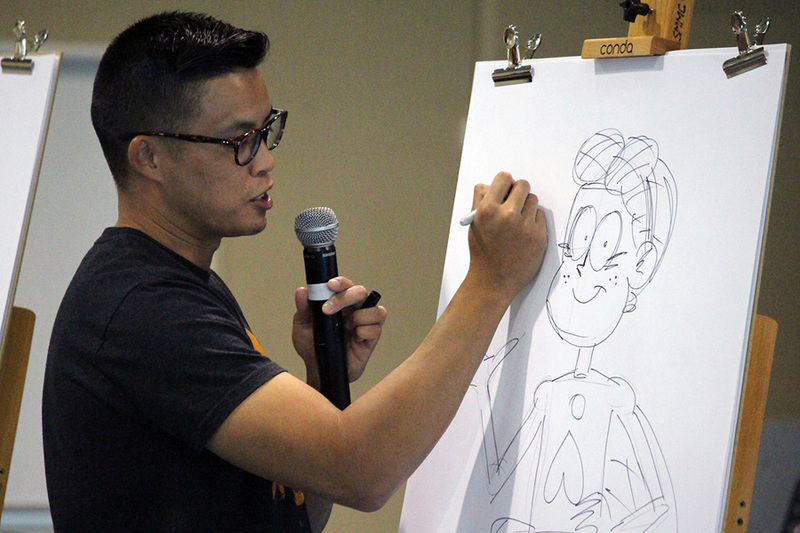 The highlight of this year’s festival for Primary students was the Draw-a-thon, which brought together Norm Jorgensen’s writing talents with four very different illustrators: artists Frane Lessac and Kelly Canby, and cartoonists Andrew Foley and Gavin Aung Than. 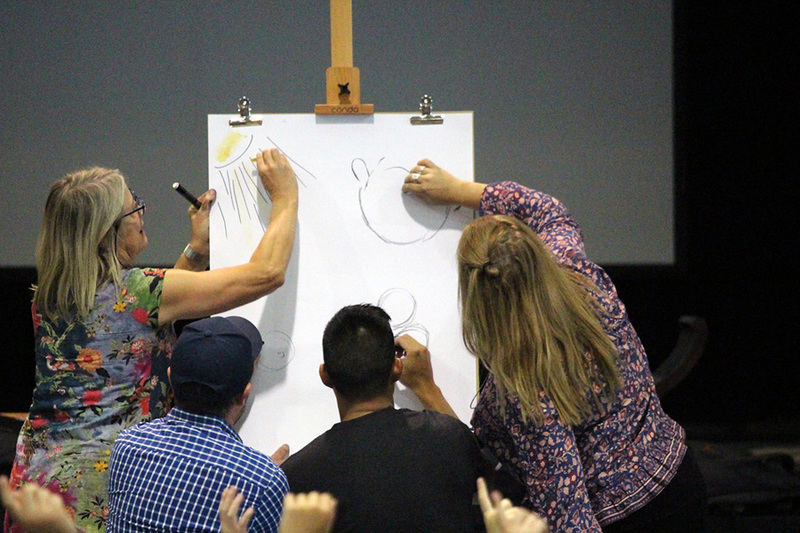 It was a highly entertaining session that allowed students to observe the creative process at work, as the illustrators collaborated and competed to produce artwork for an original story about a young illuminator.